Tazbell is a Deloitte Best Managed Company since 2008. Having achieved Gold status in the programme, Tazbell was invited to apply for Platinum standard accreditation, the result of which will be announced at a gala event in spring, 2016. Tazbell Services Group was awarded the Q-Mark Level 3 award in 2015, which it retains for 2016. Level 3 is the ultimate the highest grade of award conferred by EIQA through its Q-Mark scheme for excellence in quality management systems. Tazbell Services Group is a Guaranteed Irish company. We have been short-listed for the European Business Awards for customer service. Tazbell group company, Dublin Street Parking Services, holds ISO 9001: 2008 standard for quality management. 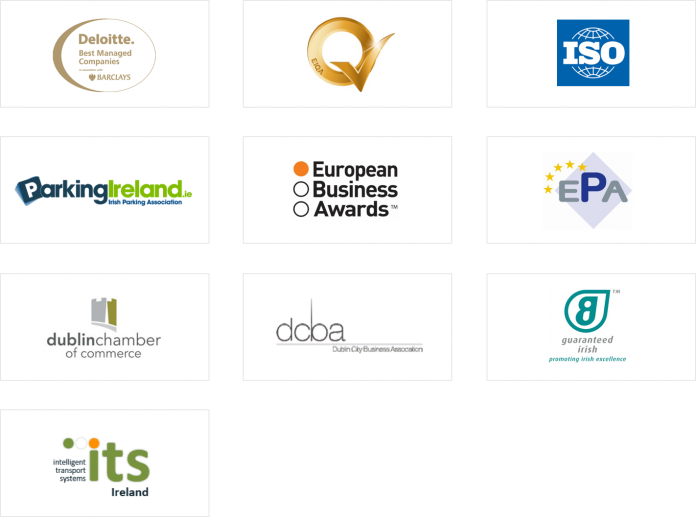 Tazbell is also associated with the Irish Parking Association, the European Parking Association, ITS Ireland, the Dublin Chamber of Commerce and the Dublin City Business Association.